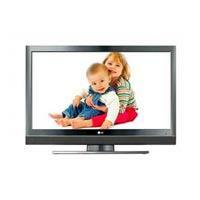 Avista offers a range of brilliant 20" to 80" LED TV and display rentals. Avista carries displays from top manufacturers LG, Samsung and Sony. Table top or floor-mounted displays are perfect for a variety of applications. Our smaller monitors are used as computer monitors and confidence monitors. Our larger displays are used as projector replacements, where space or ambient light constraints make displays the perfect solution. Customers also rent displays for signage, sponsor loops, and for video game/virtual reality demonstrations. Brilliant LED video wall rentals for indoor and outdoor applications. 2.9-4.4 mm walls are deployed in any shape or size for a wide variety of applications. Bright 32" to 80" LED display rentals from Avista. These displays are from top manufacturers LG, Samsung and Sony. Tabletop or floor stand-mounted, for presentations, videos, retail, gaming & tradeshows. 20" to 37" tabletop mounted LCD displays, great for gaming demos, trade show booth or retail displays. 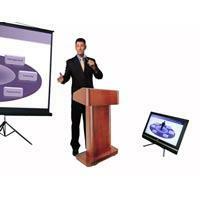 37" & 42" floor mounted displays mirroring main presentation or meeting notes. Keeps presenter poised and in control of their presentation. Inquiry about our full production support services, wherein we integrate main screen projection with a variety of confidence monitor options (notes, next slide, main presentation). 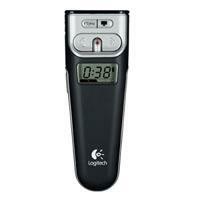 From DVD players to distribution amps & Powerpoint clickers: accessories to help make your meeting or event a success.